Wayne, Pa. (July 16, 2018) – McBee Associates, Inc. (McBee), the nation’s premier independent health care services and consulting firm, proudly announces that Executive Vice President Mike Dordick has been promoted to President. He will continue to report to Marty Brutscher, CEO of McBee. 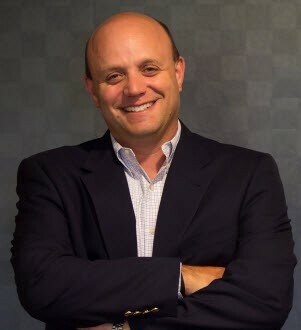 Dordick joined McBee in 1995, starting as a Staff Consultant. His extensive experience in health care financial and management consulting has allowed him to advance within the firm. Most recently, he led McBee’s post acute division, working with home health, hospice, and skilled nursing providers to improve clinical outcomes, increase cash flow, and develop best practices in operations. Dordick will expand his current responsibilities and oversee the day-to-day operations of McBee. Dordick earned a Bachelor of Science in Accounting from Penn State University. He is currently a member of the Corporate Leadership Council for the Partnership for Quality Home Healthcare and an advisory board member of the Home Care & Hospice Financial Managers Association (HHFMA), an affiliate of the National Association for Home Care and Hospice (NAHC). He is also a frequent presenter on operational, financial, and revenue cycle topics in the home health care industry. McBee is the nation’s premier independent health care services and consulting firm that delivers financial, operational, and clinical consulting services exclusively to healthcare providers across the continuum of care. For more than 40 years, McBee has designed services to ensure the success of clients by improving clinical, operational, and revenue cycle performance. Corporate headquarters is in Wayne, Pennsylvania. Additional offices are located in New York City, Columbia, Maryland, Richmond, Virginia, and Charlotte, North Carolina. Visit us at McBeeAssociates.com. Follow us on Twitter and LinkedIn.